A demon slaying heroine, a resilient cobbler, a punctilious baker, a bereaved youth and their respective supporting casts draw on a constellation of character virtues (e.g. courage, generosity, determination, hope, love , peace, etc.) to find meaning, purpose and success in their lives. 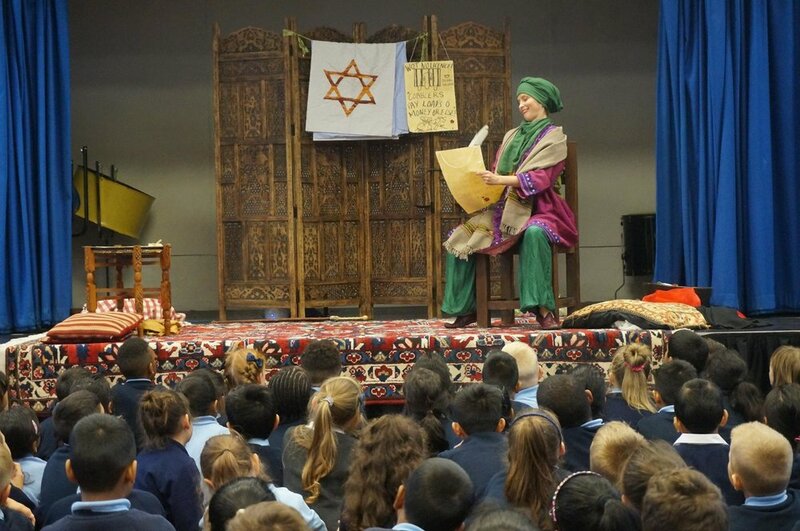 This collection of four wisdom tales from Hinduism, Judaism, Christianity and Islam explores humanitarian values common to all of the faith traditions inviting Key Stage 2 pupils or community audiences to identify, articulate and reflect on these values and their currency in and relevance to their lives. The stories are theatrically performed over 50 minutes followed by 10-15 minutes of conversation with options for extended engagement through games and exercises. This educational offering supports religious education, PSHE, citizenship, art & design and English strands of the KS2 national curriculum and is available for booking by schools nationally. On the special occasion of the opening of the Museum’s newest gallery – the Albukhary Foundation Gallery of the Islamic world, we will be staging performances of tales of wonder, wisdom and humour from Malaysia, Sudan, Nigeria, Syria, Pakistan, the Uighur, #MullaNasruddin #Rumi and the #1001Nights iA. Featuring artists Sam Adams, Alia Alzougbi, Waleed Elgadi, Lincoln James, Eleanor Martin, Jumana Moon, Mohammed Sesay and Alishan Ugur. Sat 20th Oct, The BP Lecture Theatre: 11:30-12:00, 13:00-13:30 and 15:00-15:30 (family audiences) Come and join us for a feast of imagination and beauty! Returning to the British Museum for the first time since the critically acclaimed Hajj Exhibition 2012. Part of Khayaal's Theatre-without-Walls Programme serving multi-sector audiences supported by Safera Foundation. Khayaal’s cast of three performance storytellers will captivate and transport Eid in the Square revellers with a feast of riveting tales from an array of Muslim cultures. Come join us in our marquee on the north terrace on the hour and on the half hour throughout the day for laughter, wonder and reflection that will delight your hearts, minds and imaginations. A promo trailer for our popular live 10 minute storytelling performance on the life and times of Ibn Khaldun that has been enjoyed by audiences at KPMG, Bank of England, Norton Rose Fulbright, Oxbridge Muslim Alumni and many more. How the Negus, a Christian king, granted safe haven to the first Muslim community. The story of St Francis and Sultan Al-Kamil of Egypt against the backdrop of the crusades. 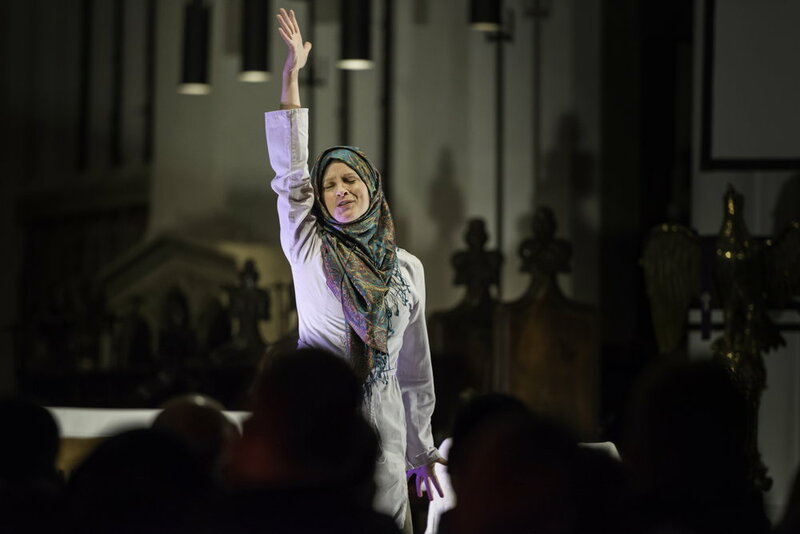 We will be presenting Christian-Muslim Storytelling as part of Amal at Greenbelt Festival on 26th August to be performed by Eleanor Martin and Carl Tinnion. A dark night. The kingdom of a cruel king. In a sacred temple, a woman preparing for worship lights a lamp only to be startled by a much brighter light. An angel conveys the heavenly news of a blessed child: Jesus, peace be upon him. A reverent and atmospherically rich performance of the story of the prophet known as the Spirit of God follows, from his miraculous birth to his glorious ascension. 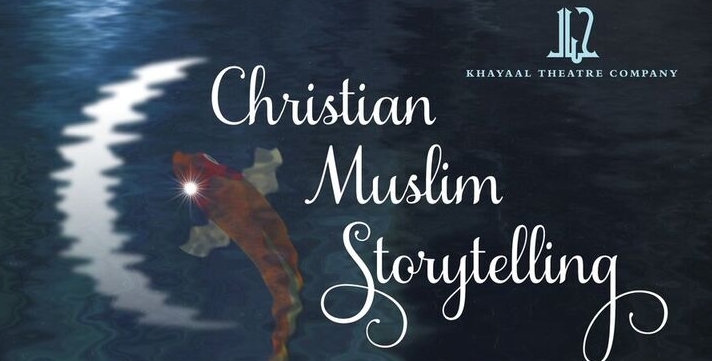 Khayaal’s Easter storytelling offering presents an episodic account of the life of Prophet Isa (as). By rescuing a golden sparrow on the slopes of Jing Mountain, Baha sets off a sequence of life-changing encounters with heaven and hell in her bid to discover true love. Exploring themes of manipulation and desperation, this classic tale from Muslim China features in Khayaal’s one-woman play entitled Sun & Wind described by BBC Radio 4 as ‘powerful’. A young man applies to become an adept of a sage in pursuit of sacred knowledge only to find himself summarily charged with a seemingly simple task. The task becomes a toilsome trial of initiation that profoundly alters his perception of one it means to learn and know. A tale on the theme of orientation, charity and service by Khwaja Sammasi of Uzbekistan. Join us on Sunday afternoon @ Rumi's Cave for an inspiring storytelling performance by Khayaal Theatre Company. Bring children,friends and family! Booking Fee: £10 via eventbrite or pay on the door. Half price for children. *Free for under 5. Join us on Sunday afternoon @ Rumi's Cave for an inspiring storytelling performance by Khayaal Theatre Company. Bring children, friends and family! Booking Fee: £10 via eventbrite or pay on the door. We will also be delivering drama workshops for select secondary schools in July as part of the festival. Eleanor is a professional actress and stage director with mainstream TV and film credits and has performed as a storyteller for the past 15 years. She employs a dramatic and physical multi-character role-playing performance style that has been described by audiences as mesmerising and imaginatively and spiritually nourishing and inspiring. She specialises in telling stories from Muslim heritage with a contemporary twist. Her recent engagements include Bristol University, SOAS, LSE, Mehria Primary School, Bank of England and Hastings Storytelling Festival. She is also a theatre-in-education specialist and a founding Associate Director of Khayaal Theatre Company. Over the last 10 years as a teacher and trainer, Carl has utilised storytelling in communication. He desires to make stories come alive to such a degree that they open up and reveal deeper truths. Regularly using his experience in communication within the charitable sector. 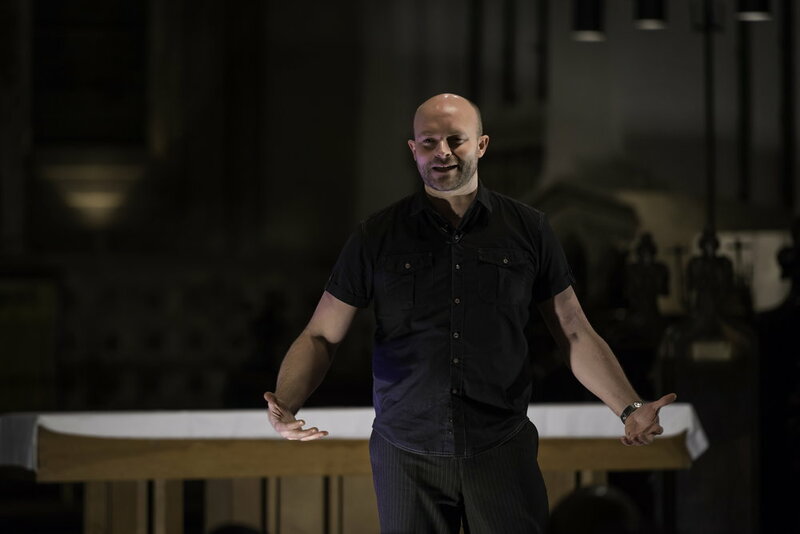 Carl utilises creative forms of communication including storytelling and theatre, in order to help people develop confidence in telling their own stories. He seeks to help narrative art forms flourish in all kinds of arenas and to encourage new dialogues to emerge across different cultures and faiths.